Rigid Industries has found a way to fit a square peg in a round hole. 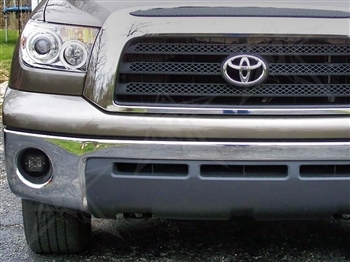 Our 2010-2012 Toyota Tundra fog light replacement kit allows you to mount our D-Series (Dually or D2) LED lights in your Tundra's OEM fog lamp locations. This kit gives your otherwise square D-Series lights a clean from-the-factory look without having to drill or cut into your bumper. Made from high quality stainless steel, these adaptor plates are powder-coated black for a long-lasting finish. 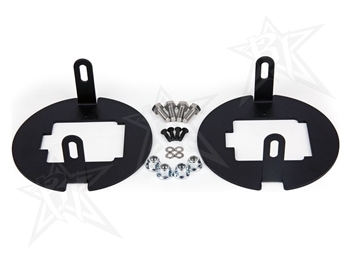 This kit comes with everything you need to install D-Series lights, as well as the lights of your choice in both fog light locations and is backed by a limited lifetime warranty.